What's 'brass plaque from uss el dorado 1944' Worth? I'm looking to find out what 'brass plaque from uss el dorado 1944' is worth. You can upload an image to your post via your confirmation email. Otherwise you could repost the link to the photo for us again as we can't see from the one you've posted here in the comments. Is your plaque the one depicted in the top right corner of the photo? Yes. The upper right corner. Have put a photo on Facebook. Can you tell us the url of your facebook page please? I've updated your post to include the image you provided. You have something here that would appeal to many. 1/ It's from a major steel company that is now defunct. 2/ It's a part of the famous U.S.S. Eldorado. 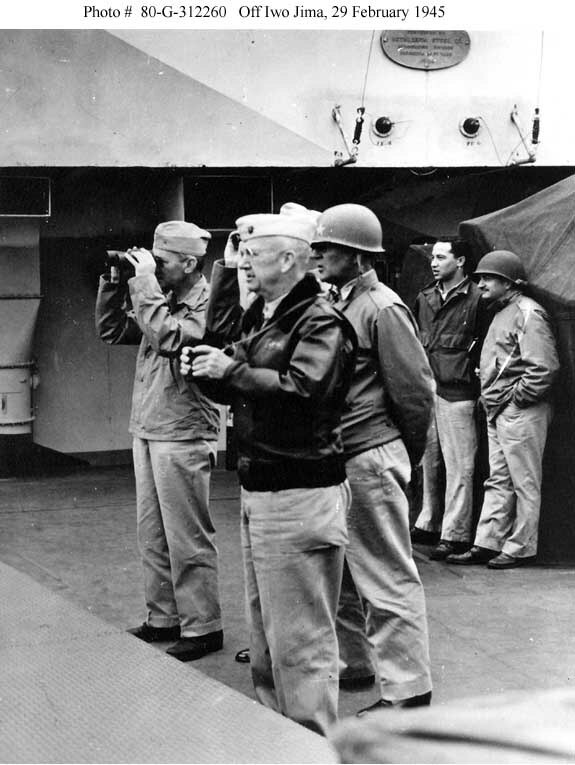 3/ (most importantly) It's actually depicted with Lieutenant General Hollamd M. Smith, Secretary of the Navy James Forrestal, Rear Admiral Harry W. Hill and Vice Admiral Richmond K. Turner, as they watch the invasion of Iwo Jima. I suspect a LOT of WWII buffs would go crazy for your plaque. Especially Iwo Jima buffs. Anyways, a Great piece of memorabilia. Thank you for your help as I am not very good with computers. I really hate to part with the plaque, but I am 61 and now unemployed. We are selling off everything. sorry about the facebook, I don't have an account but if you make short call to the # my wife has one and can arrange to friend you. Once again thank you.